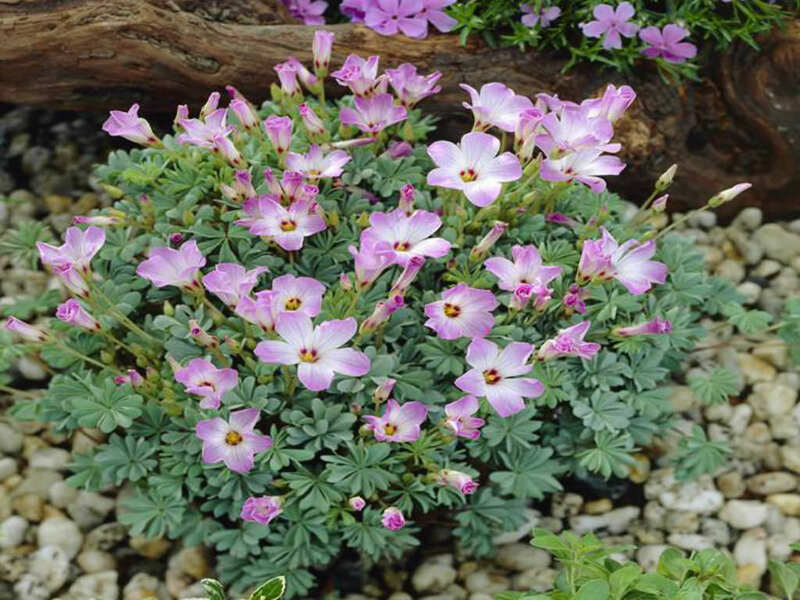 Oxalis adenophylla is a bulbous perennial forming a clump up to 6 inches (15 cm) in width, with succulent, grayish leaves composed of several narrow, heart-shaped leaflets, and solitary, bright rosy-pink flowers in late spring, paler in the center, with a purple throat. 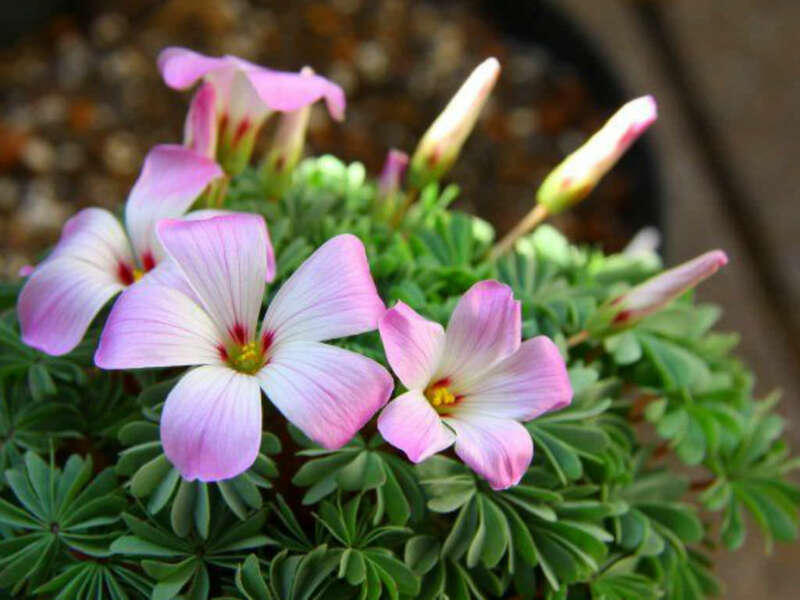 Oxalis can be grown indoors as a houseplant or outdoors in the garden. They from the garden center are generally available in the fall or early spring. Oxalis need bright indirect light to grow well and produce flowers. They can often bloom all winter if kept in a sunny spot. 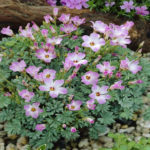 Keep the soil of a Oxalis barely moist but never soggy; allow the top 2 inches (5 cm) of soil to dry out before watering. 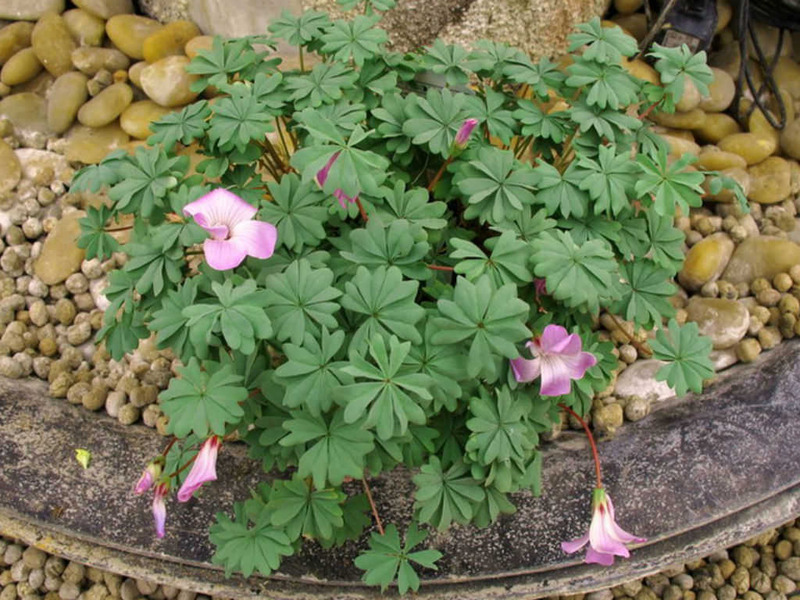 It’s best to water a Oxalis from the bottom so that the thin fragile stems of the plant don’t get water logged and the soil stays loose. Oxalis grow best in cool temperatures between 60ºF to 70ºF (15ºC to 21ºC) during the day and 55ºF to 65ºF (13ºC to 18ºC) at night. The soil for a Oxalis should be loose and sandy rather than rich and organic. 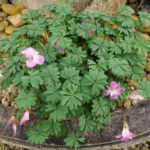 Feed a Oxalis monthly in the spring and summer when it is actively growing with a basic houseplant food at ½ the recommended strength. Never feed a Oxalis when it is dormant and the bulbs are resting. Native to Argentina and Chile.